Vinyl siding can be safely incinerated, recycled, and reused as a source of renewable energy. Insulated siding is vinyl siding with rigid foam insulation laminated or permanently attached to the panel. It fights thermal bridging by blanketing a home's exterior to reduce energy loss through the studs. The green solution creates a thermal mass and increases the overall R-value of the wall. In energy codes and energy efficiency programs, such as LEED v4, insulated siding is recognized as a form of continuous insulation. Insulated vinyl siding is a smart investment. 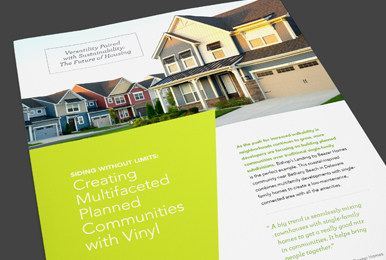 In addition to its energy efficiency, vinyl siding is low-maintenance. It never requires painting, staining, or caulking and keeps its curb appeal for years to come. Insulated siding is accepted as home insulation in various energy efficiency programs — including the checklist of building products or methodologies that can help meet the requirements to qualify under ENERGY STAR Qualified Homes (V.3). Insulated vinyl siding is included in the 2015 International Energy Conservation Code among the materials that can be used as continuous insulation outside of the building framing to provide the required total wall R-value for buildings in the coldest climate zones (see section 402 to calculate the energy performance of the entire wall). 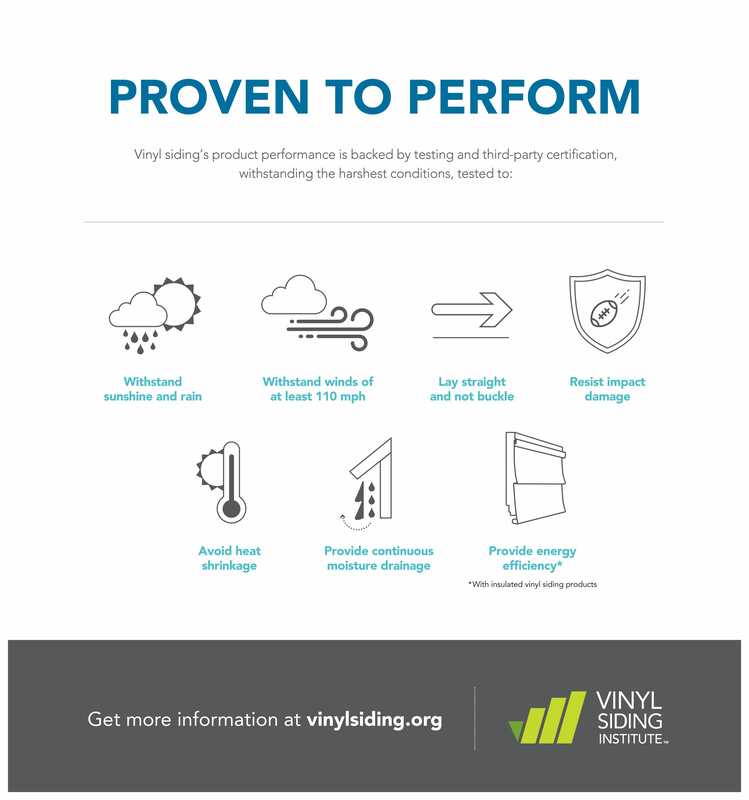 Vinyl siding’s product performance is backed by testing and third-party certification. Energy efficient insulated siding reduces thermal bridging. Continuous insulation over the studs helps homes stay cool in summer and warm in winter. Learn how insulated siding reduces the energy-robbing effects of thermal bridging.